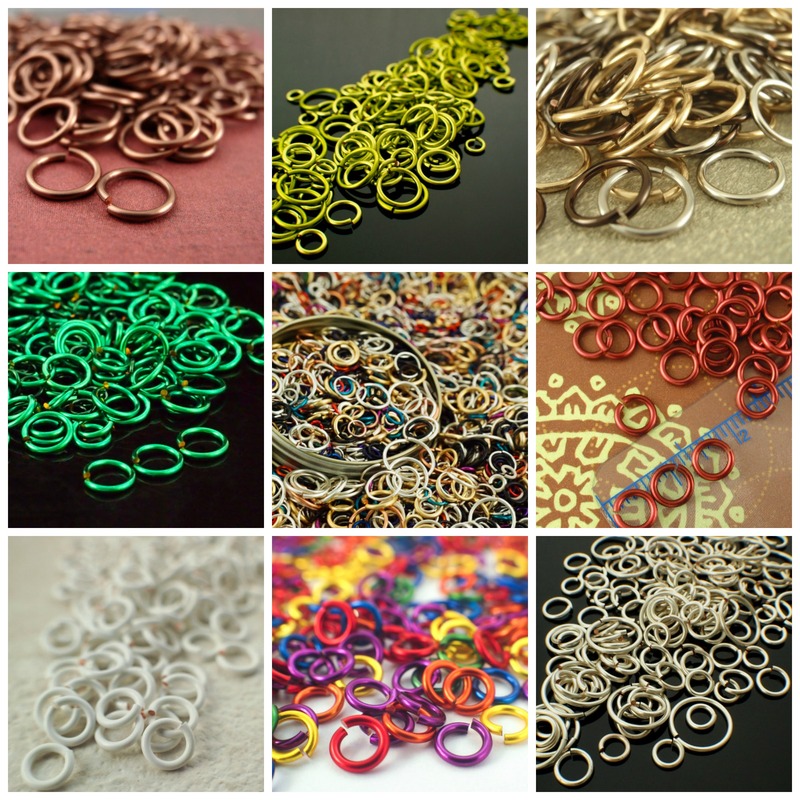 When I first started making jump rings I bought my wire from craft stores and most of what was offered was anodized aluminum and enameled coated copper. I felt that the aluminum was too soft for my needs, so copper it was! Both my daughter and I loved the vibrant, rich colors that could be incorporated into jewelry by using enameled copper, so it became my go-to material! Once we discovered that it was great for earwires(the enamel coating prevents any metal from contacting your ear) I stopped buying commercial earwires and started making all my own. I especially liked that I could make earrings that had perfect color matched earwires. The wide variety of colors expanded our design opportunities and added a whole new element to the chainmaille I made. Another aspect of enameled copper that I strongly appreciated was the weight and drape it added to my work. When you pick up something made with ECC it feels substantial, but when you pick up something made from aluminum, it is light and can feel cheap. The comparison creates an important distinction between the two materials. One aspect they have in common is that over time the anodized color on the aluminum and the enameled coating on the copper will wear. This means that neither material is suitable for jewelry that is worn 24/7 or in “high traffic” areas. I don’t recommend either of these materials for necklaces or bracelets that are worn so often that you shower or swim with them, or finger rings. Enameled coated copper and anodized aluminum are best suited for fashion bracelets and necklaces, pendants, and especially earrings. So, like many materials available to jewelry designers, enameled coated copper presents a compromise. It is inexpensive, readily available, hypoallergenic, easy to work with, and comes in over 40 different colors. Oh, and it doesn’t tarnish! However, like all plated and coated materials, it is subject to wear and chipping and the color will not last forever. My bottom line? Enameled coated copper is the only easy way to have such a diverse color palette and that is important to me and my customers.